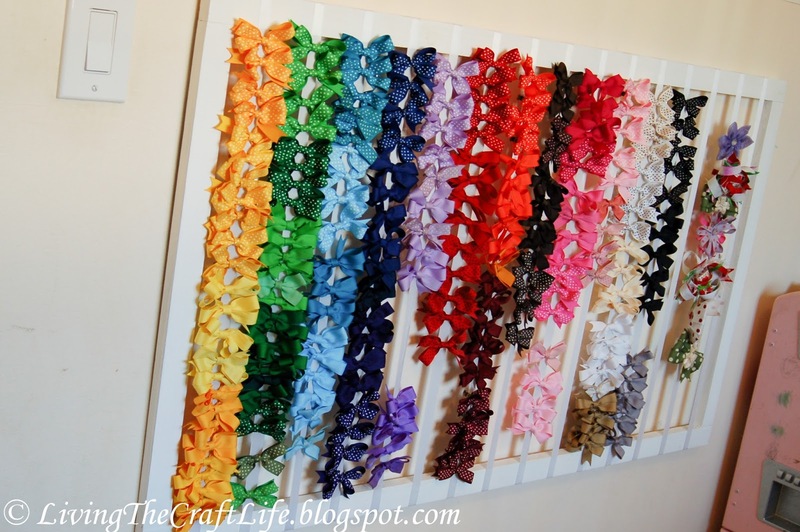 Remember way back when I made a bunch of hair bows for my daughter? If you thought that was a lot, guess what?! They multiplied!! 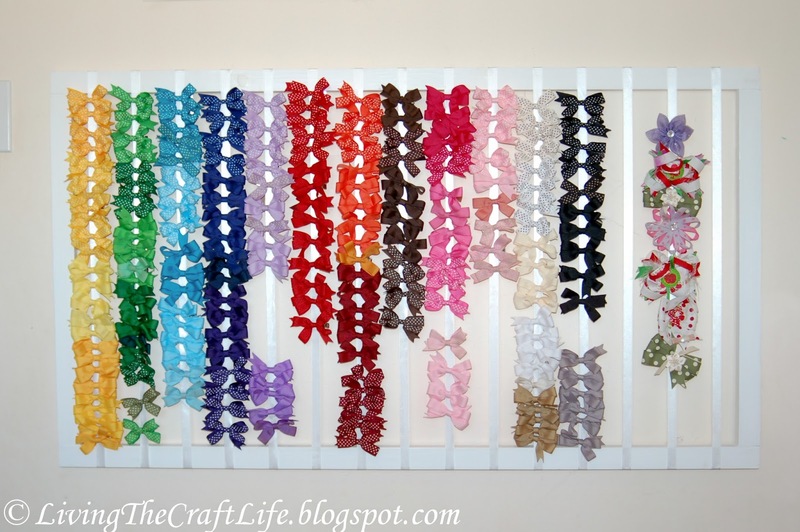 As you can see, the hair bows multiplied exponentially! I made them a beautiful rainbow assortment to match any outfit. 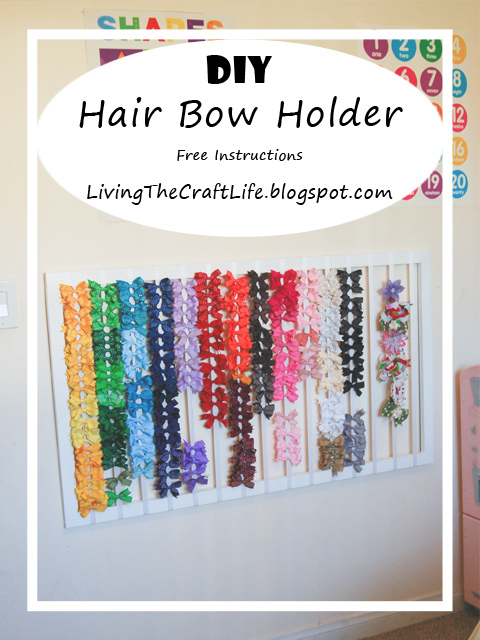 Here are the instructions to make your own MASTER hair bow holder. Cut each wood piece into a 2' and 4' piece (or whatever size you decide to make yours). Screw the L brackets (as shown below) to connect the two pieces. 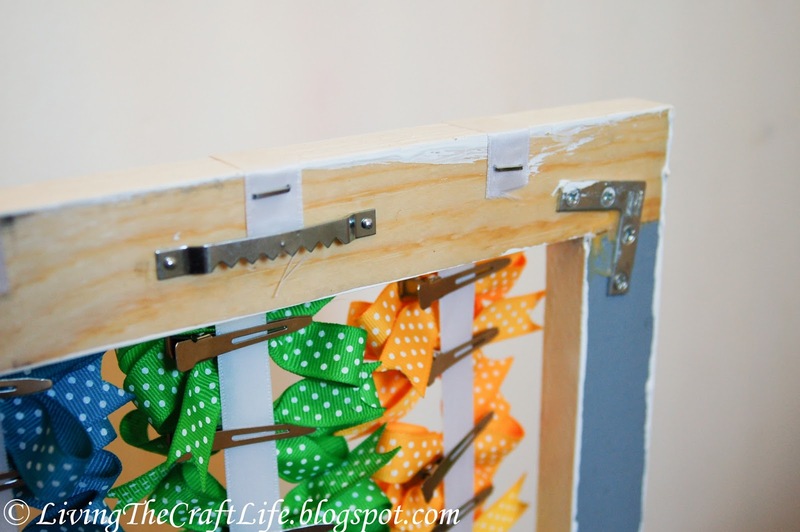 Use wood glue to secure the wood in the corners. Paint (I used two coats). 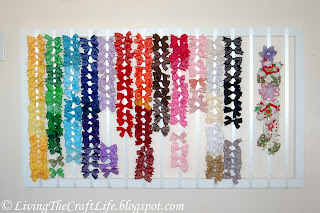 I spaced the ribbons 3" apart (my average bow size) and attached the ribbon with hot glue. 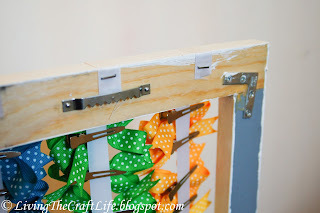 Staple the ribbon to reinforce. Attach sawtooth hangers, checking the wall for a stud to place the hanger where it will line up with a stud for secure hanging. This picture sums up instructions adequately. 9. 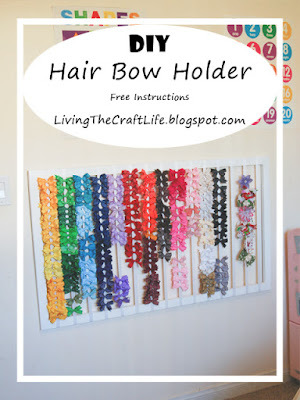 Put your hairbows on, and ENJOY!! This solution has worked great for us! Another great post on your blog! 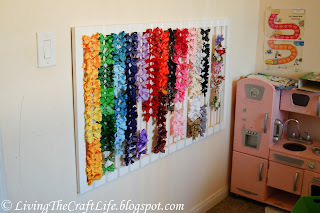 The DIY hair bow holder is super fantastic. And the instructions you provided here were so helpful for a house wife like me.